The St. James Day Care Centre has been located on Agra St. for the past 60 years. Each month needy parents whose children are in the Centre pay from $150 to $200 TT dollars (about $23 to $31 US dollars) monthly so that they can go to work and earn a living. They receive Government contributions which are not adequate for the needs of the many infants and babies that reside their during daylight hours. The Centre has a parent body called, "Child Welfare League of Trinidad & Tobago" which seeks to make parents aware about their responsibility for their children via courses given at the nursery school. A building as old as this one is a disaster for the little ones to be in and although some other charitable groups like the Lions Club have helped to secure the building against thieves and predators the Centre needs to be either relocated or have a new building established. The Centre is supervised by a retired principal, Jacqueline Osbourne with 25 babies and 16 toddlers involved in pre-school. 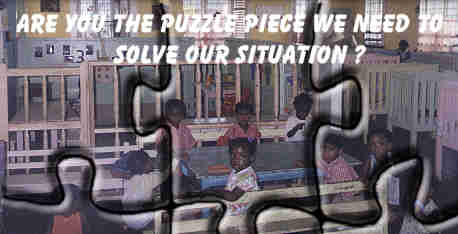 The Centre formed a group called "Friends" (Eight persons; Regional Counsellors for the St. James area, PTA, and the Management Committee) which meets once a month to discuss what they can do towards getting help to maintain the exsisting structure they now occupy and commencing a new building. From an article in the Newsday Newspaper on Sunday, March 28, 1999 Jacquline said, "We are making do with what we have but we really need the support of the community to make the enviroment better for the children." FOOD STUFF: Each day the children are given a hot meal at lunch time. Only when donations of jello, custard, fruit or ice cream are received can a treat be given to the children. TOILETRIES: Some children are unable to bring their own pampers, wipes, soap, baby oil or cream, etc. FIRST AID ITEMS: A critical supply of this is needed for emergencies. KITCHEN UTENSILS: Saucepans, pressure cooker, warmers, plates, bowls, cutlery, and a microwave oven. PLAY GROUND EQUIPMENT; This is completely out of service.